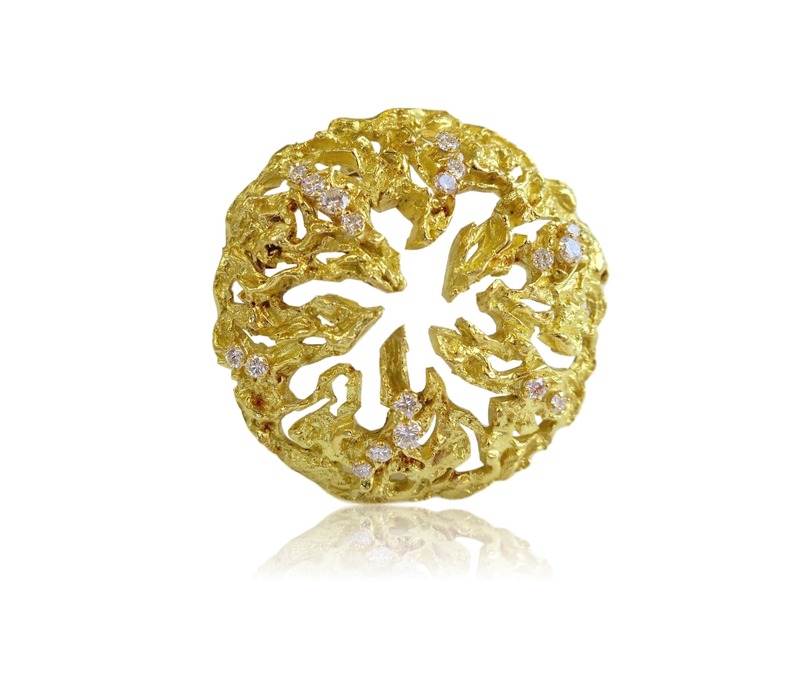 Modernist gold pin by Chaumet. 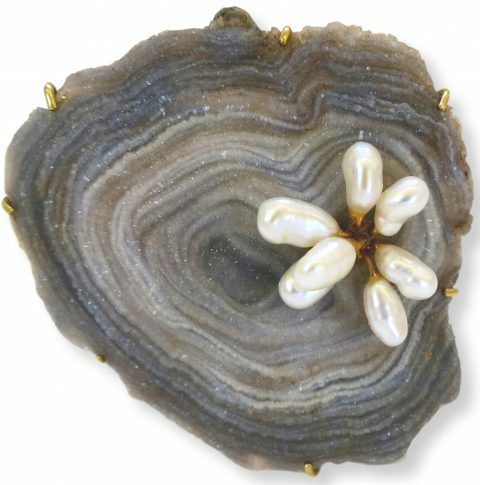 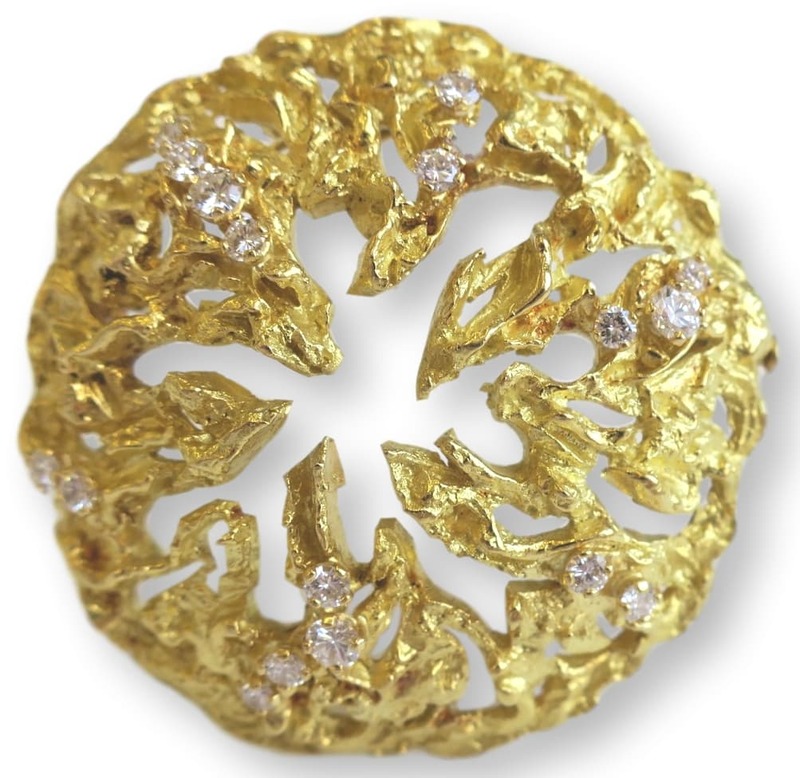 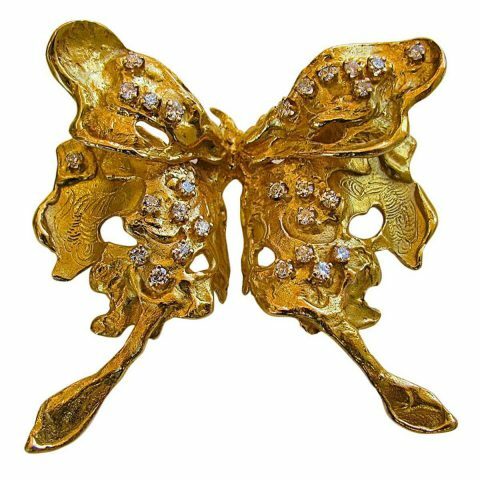 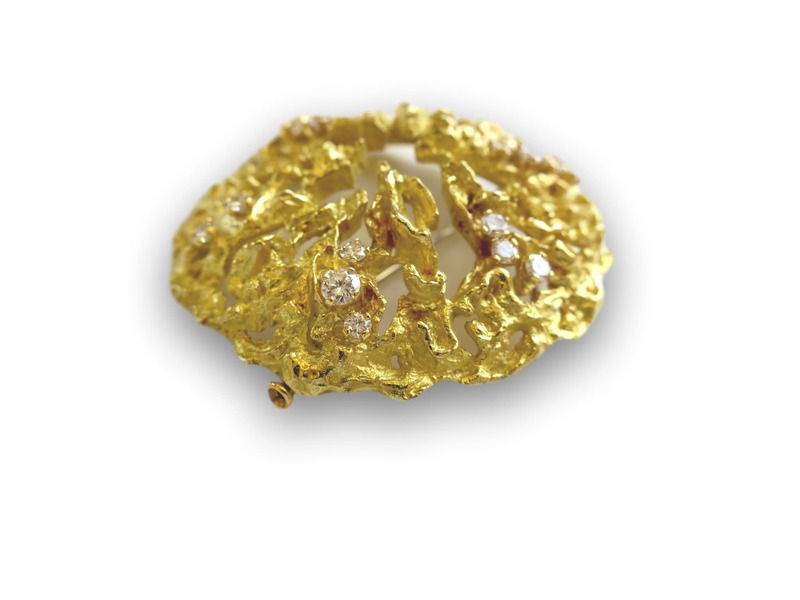 The 2″ 18k yellow gold freeform brooch with approximately .50cts of round white brilliant cut diamonds. 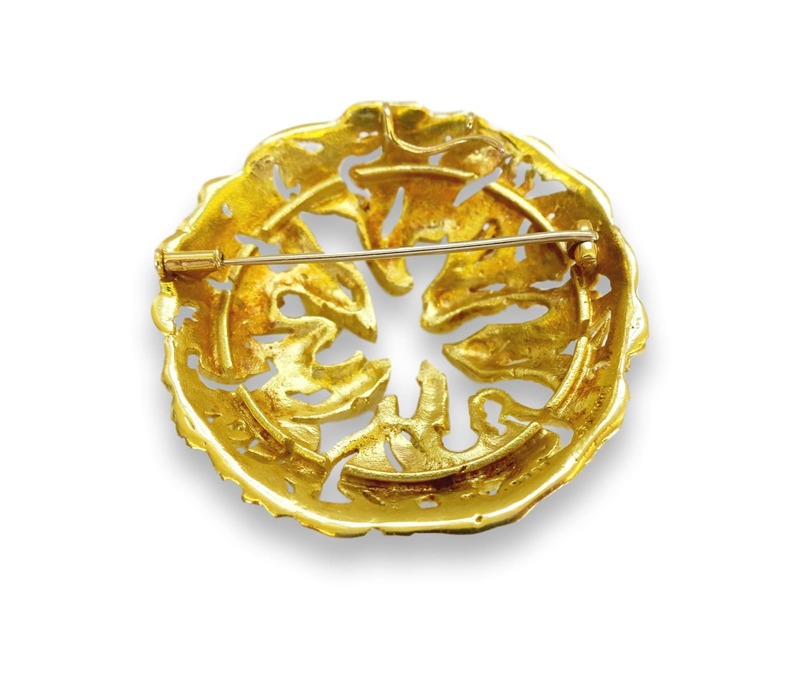 This Handsome brooch also has a fitting to be worn as a pendant. 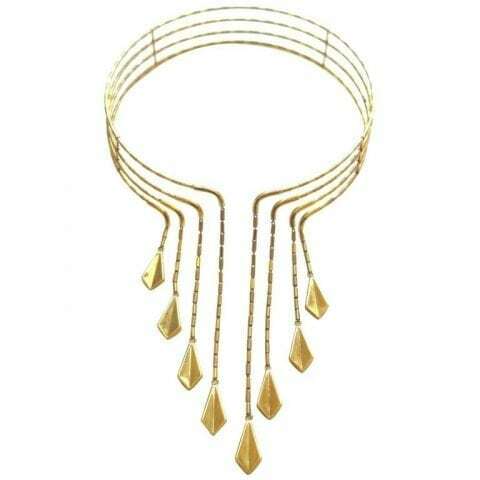 Classically Modern.